I clearly remember when the Tangle Teezer first came out. Everyone raved on how easily it glided through the hair like a hot knife through butter. Immediately ran into the nearest Sally's store and purchased two of them. Once home, I tested the teezer on a small section of hair. Then I examined the plastic detangler for final results. What I saw was quite disturbing. Broken strands lodged between the Tangle Teezer's viscous teeth of death. "Maybe I used it wrong", I thought, as I removed the hairs to try again. I crossed my fingers and went a second round. Again, more broken hairs. After (unsuccessfully) trying again a week or two later, I realized that I was fighting a losing battle and finally gave up. Then I went through a similar experience with the Denman brush. My hair just wasn't strong enough to endure that type of manipulation. To compensate for breakage from detangling, I went to the other extreme and tried to go super low manipulation only to suffer from horrendous knots and tangles. I'm sure that my struggles with detangling has impacted my retention. Now I'm ready to change all of that. This post is for those of us who can't just reach for a detangling contraption to solve all of our problems. We want to detangle safely without having to sacrifice retention. I can blame tangle teasers and other tools all I want, but the truth is, those tools are bringing to light the weak areas of my hair. Ideally, I'd like to have hair strong enough to withstand that kind of manipulation. Weak fragile hair is going to break no matter how gentle I am. Instead of cursing (loudly) at my Tangle Teaser, I'll express gratitude to it for helping me to see where I have room to improve. Maybe I need to up the protein. Or perhaps it's because I've taken too many shortcuts on wash day. In either case, I know something has to change otherwise I'll go back to avoiding detangling sessions which only makes things worse. Whenever I experience breakage from normal detangling activity, I always asses the length of the broken hair and inspect hair for split ends. I also notice if most of the breakage is happening in small concentrated areas of it's a more global problem. All of that information is crucial for me as I implement ideas to bring health back to my hair. No joke, I've probably purchased over 50 combs in my life. All in search of the perfect one that can handle my hair without breaking it. My favorites are the ones with double rows of teeth like this one I purchased at Walmart and the one from Ouidad. Both are great but the only comb I reach for when detangling on wash day is the Mason Pearson Rake comb. It's not the widest tooth comb in the world but it's ultra gentle. This thing has fully cured my comb addiction. Not only is it completely seamless, but it's super smooth making it easy to glide through the hair. Maybe you're not ready to invest over $30.00 on a fancy comb. But at least have one in your stash that loves your hair as much as you do. Ultimately, finger detangling should be your most used method but for those times when you need to use a comb or brush, make sure it's as close to finger detangling as possible. I'll never stop talking about how well It's a 10 miracle leave in works to melt away tangles. 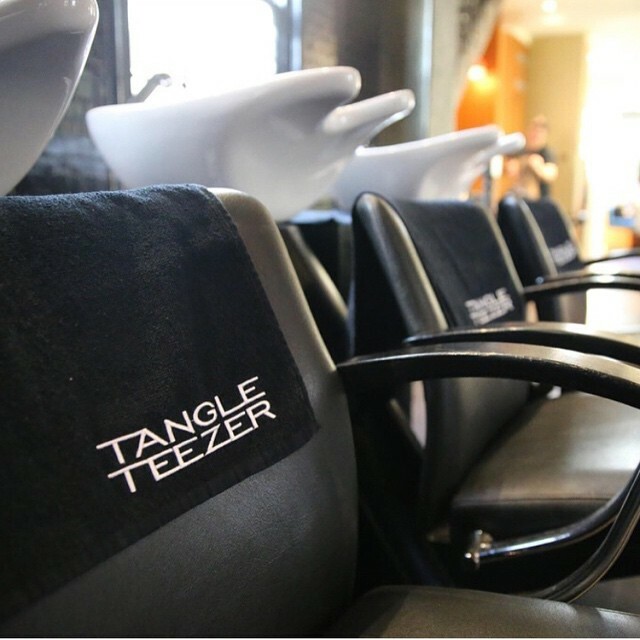 If tangles are getting the best of you, please give this product a try. If I go too long without detangling, I'm asking for trouble. If I over manipulate my hair for the sake of detangling, I suffer the consequences. If I detangle my hair without preparing for a successful session, I might regret it later. What I'm trying to say is that there's a time and place for a proper detangling session to take place. If not planned properly, the repercussions can last long after the session has ended. It's critical to prepare the hair for all the manipulation that about to take place. For example, my hair does much better when I pre-tangle using coconut oil. The oil provides ample lubrication, helping the shed hairs to glide through. If I let the oil to absorb first, I allow the protein to absorb into the strand providing additional strengthening. Which reminds me, let's add the Misto Sprayer to the list of tools that can elevate the way you detangle. Once upon a time, I bought (and threw away) a "jojoba infused comb." I liked the idea of having a lubricated comb that glides easily through the hair. Unfortunately, the infused comb turned out to be useless but I notice that my Mason Peason is so smooth that it retains any oil that it comes in contact with. When I have a little oil on the strands, my comb benefits as well. That's what I got. I think it's really important to focus on #1. Because it's a lot more fun to detangle when the hair is strong and healthy. There's no anxiety about about all the broken hairs on the floor. And you can leave the session feeling like you've actually accomplished something--not made it worse. Good tips Nadege, this reminded me that I need look out for a proper seamless comb.